Is it making a difference? Is my child making progress? If your child is receiving therapy, or you have been practising something at home, how do you know if it’s working? It can be hard when you are with your child every day to notice the small changes that happen and it can feel really disheartening if you think nothing is changing. So here are some ideas to help you track and monitor your child’s progress. Write it down. If the child is younger and just starting to use words or link them together, it is easy to keep a list of the words they know/ use. Keep it somewhere handy and when you have heard a new word, write it on the list or in your diary. You will soon see more and more words added. If you have an older child, maybe write down any sentences that really strike you as great. If you are working on certain sounds, make a note if you hear your child using the sound correctly. A written record makes you think about what you are targeting and gives you great proof of progress! Record them. Now that most of us have phones with cameras/ video recorders in, try recording your child talking. Then make another recording 6-8 weeks later and you can compare them. This is a great way to monitor speech clarity improving. Another idea is to pick a specific activity to record. You could get you child to retell a favourite story using a story book. Then when you film it again in a few months you will hear and see the difference. Check against targets. If your child is in nursery or school and has had targets set or an IEP (Individual Education Plan) put in place, you can monitor them against the targets. You may need to give them a few months or a term, but you can then easily check if they can now correctly complete the targets. Get feedback. Ask friends or family who see the child less frequently if they notice a difference. Sometimes people outside of the family can give you great feedback about how things are going. I often have parents report that Grandma came at the weekend and could comment on how much clearer the child’s speech was, or how many more words they were using. Again if your child is in nursery or school, try and have a meeting to talk about progress and get some feedback about how they think things are going. Ask school for academic levels: There has been a massive change for schools recently with the new National Curriculum and the end of ‘levels’, however they should be able to provide you with some sort of tracking data. Is the child making academic progress, how are they performing compared to their peers? Ask your child! Now this is really only for older children. I think it is really important for a child to know what they are working on and be involved in the targets. If they do know what they are working on, you could ask them how they feel things are going. Is that ‘k’ sound easier? Are they remembering the target words in class? Is there anything else that might help them? Children can come up with some really sensible ideas! A final note! Celebrate every success and achievement. 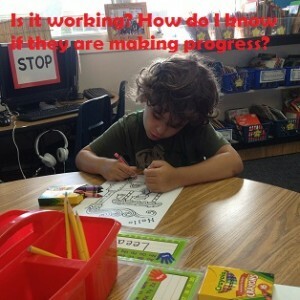 By monitoring progress it will hopefully show you all the great things your child is now able to do. Take time to be pleased about this before you move on to new targets. 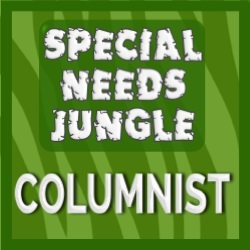 This is really key for children with more significant needs; all the meetings and paperwork can get caught upwith talking about the things they can’t yet do, rather than all the great things they can do now. So however small the step might seem, be pleased and celebrate with your child. 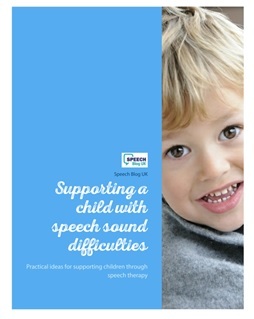 If you have found this post useful, do check out our e-book, which is full of practical advice to help you and your child at every step of the way through the speech therapy process.